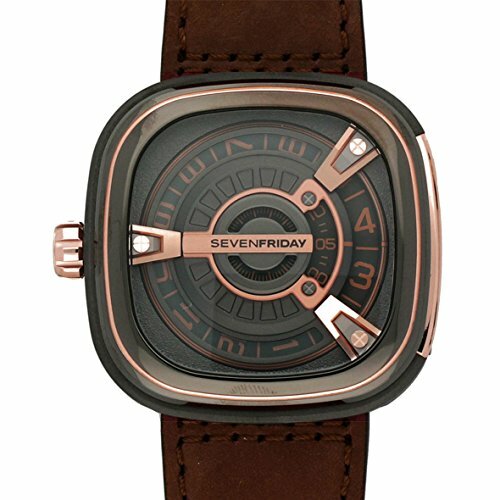 SEVENFRIDAY’s watches consist of two integral elements - the Box and the Interface. The box – made of stainless steel- is a complex constructed and protecting casing. The shape and style lies between modernity and classic and creates an exciting atmosphere. 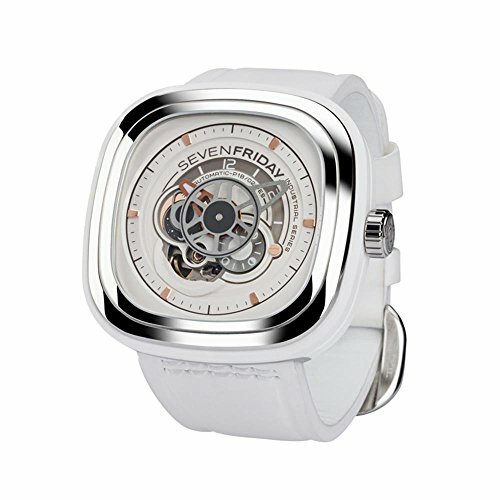 The case is surrounded by the animation ring made of different material catering additionally to the haptic and visual senses of the products respective universe. 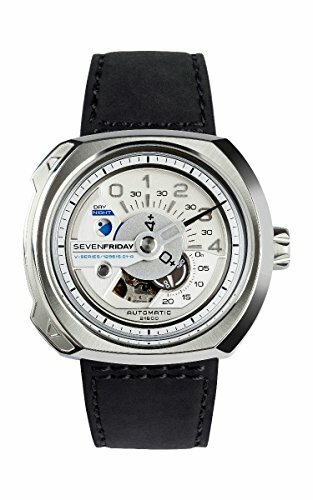 In the box you find the interface which consists of hands, discs, dial and the automatic Myiota 82S7 movement, dubbed “the small truck”, and considered as an almost tireless caliber. The indicators are designed and arranged in way to bring the complexity of the movement to the surface. 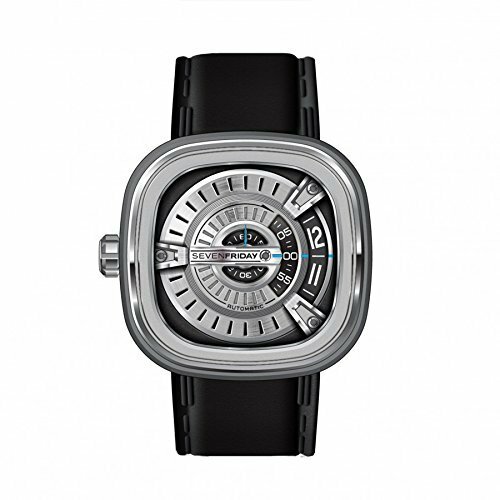 The dial alone is made of 5 separate pieces / layers with eleven different applications. The complex construction attracts and fascinates the spectator and makes checking the time a new.